The opening of the fourth episode of drama “Shayyad” is a statement of intent for the entry of Noman Ijaz as Salar has incited a lot of excitement in the audience. Noman plays the character of an excessively disciplined and crisp commissioner. Umm-e-Hani’s uncle seems to be quite impressed by the seemingly well-grounded, sensible and giving person Salar comes across as . The audience is baffled whether Salaar’s entrance in Umm-e-Hani’s life will fill the celluloid of Umm-e-Hani’s life with colors of gold or will he turn out to be Umm-e-Hani’s biggest regret. Like Umm-e-Hani’s phoppo Umm-e-Hani phrases it “ Dekhlete hain ke Salaar-e-Azam kon sa teer marta hai”. It is heartbreaking to see Saad voice out his marriage proposals with Umm-e-Hani to a university friend and while he romanticizes meeting her next saying “ Us se milke jee uthunga main. Uske bgair tou mar sa gya hu”, Umm-e-Hani seems to be dazed and carried away by another man. 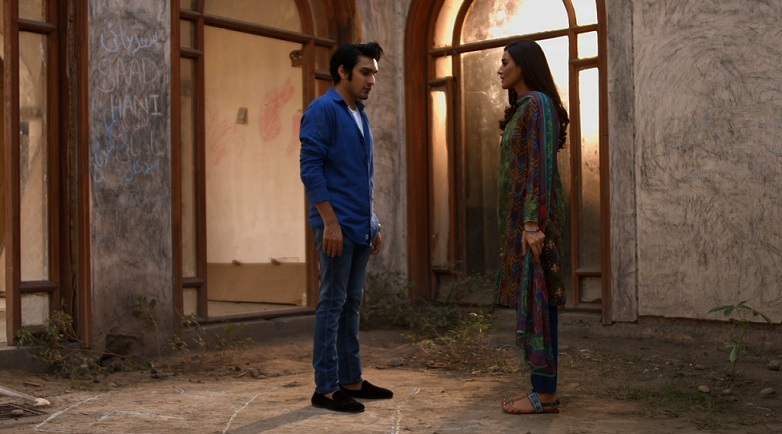 The episode unfolds with scenes honing a bit too intently on the two characters Umm-e-Hani and Salaar with the magnitude of the feelings shared between them growing as shown on varying locations. On one side there’s Salar with his powerful personality, punch and panache making his mark on Umm-e-Hani’s heart while on the other hand we have Saad with his boyish charms who perfectly exhibits the dreary imagination of a dreamy lover and his deeply rooted friendship with Umm-e-Hani. However the story unwinds, it is a genuine thrill to see that the character of Umm-e Hani is a far cry from the meek and miserable roles most usually played by female leads and that she is portrayed as a composed and collected woman allowed the space to make her own decisions by the family . All said, the drama is definitely tracing the roots of a love trio that will make its way into the heartland of the majority of viewers!